Did you think a 17-inch laptop was too big? 15-inches? Then avert your eyes mortal, because the Acer 21-X is 21 inches of lighting, soft-touch plastic and giant exhaust grills. 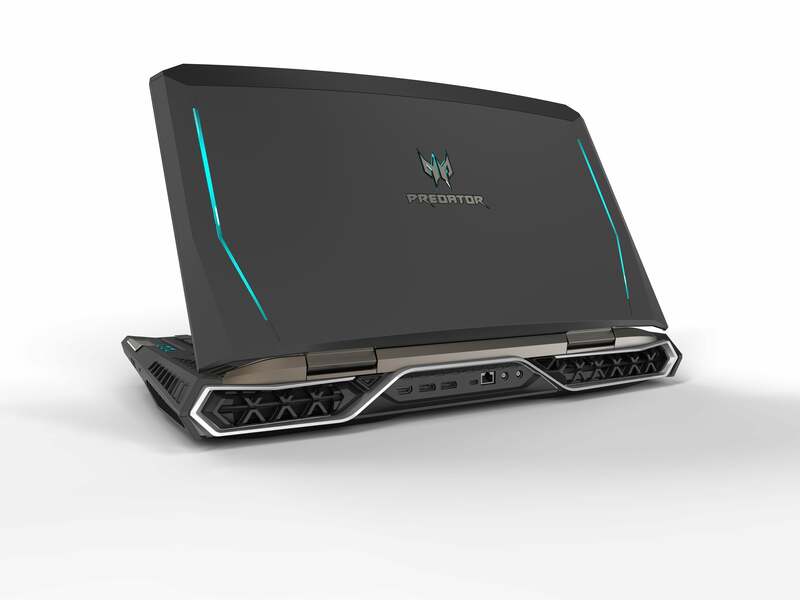 It's also the first laptop to include a curved screen for a "truly immersive gaming experience". Also it has a wrist rest. This is the computer for the jackweeds that bring a full desktop and monitor to Starbucks to game. You know, the guy lugging this in for some gaming and mocha Frappachino time. 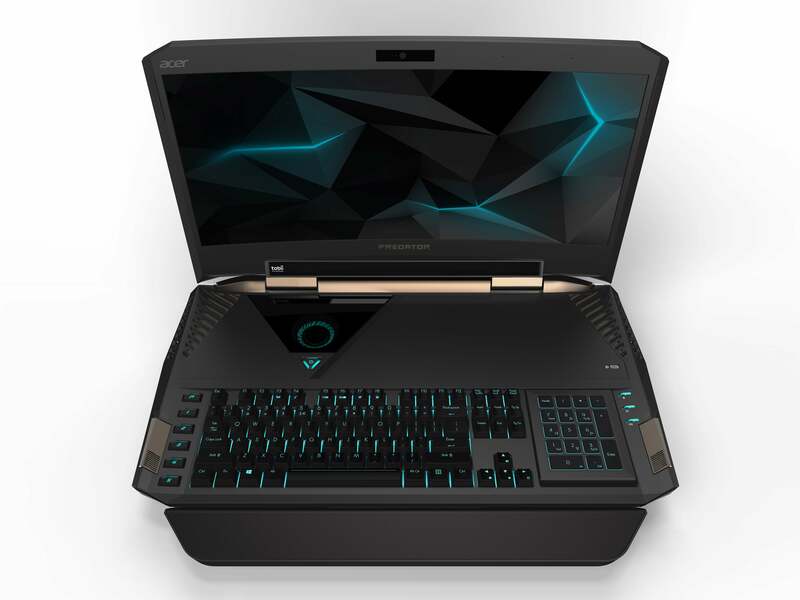 Watch as he removes it from an enormous backpack and heaves it onto a shaky table that nearly collapses under the weight of of the greatest gaming laptop ever created. You know what? Take two tables buddy — one for the laptop, and one for your Venti caffeine bomb. The only thing this beast seems to lack is a sign that automatically pops up and tells noobs, "Yes, it's a curved display laptop." Now excuse me I've got some frags to get. While it's not the first, the 21-X is one of the rare laptop to include Tobii Eyetracking technology. That's cool tech that moves the in-game camera depending on where your eyes are looking. It wasn't cool enough to warrant the hefty price tag of the $4200 MSI GT72s G Tobii, but in a monstrosity like the Acer 21-X, it's just a bonus. Because you have a 21-inch laptop. 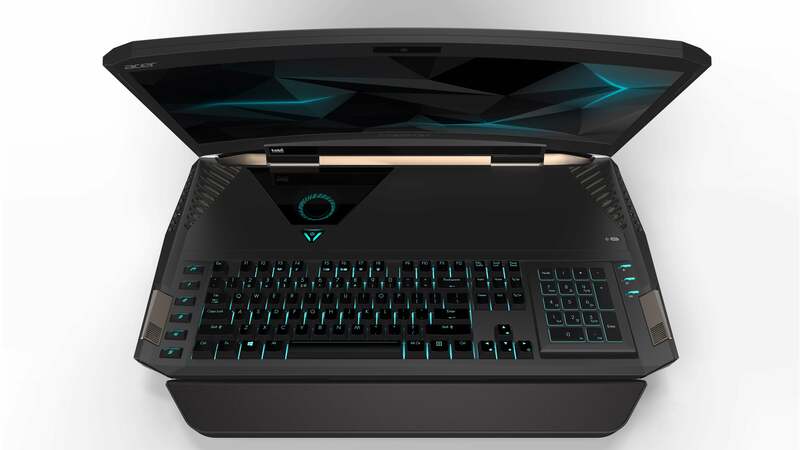 With dual Nvidia 1080 mobile video cards, a Kaby Lake processor, a mechanical keyboard and something called SoundPound. I do not know what SoundPound is, but I do know it's speaker related and means the 21-X has four speakers and two subwoofers. There's no word on pricing or availability, but honestly I don't want to know when it's available, and I do not want to know how many thousands of dollars it will cost. I just want to know it exists out there in the world, putting all other outrageous laptops to shame with its incredible, unprecedented wrist rest. I think I'm in love. I would totally buy this if it was a tax deduction etc. Dual 1080s but the screen is 1080p.. Bit of a waste no? You could connect it to external display that is higher res.